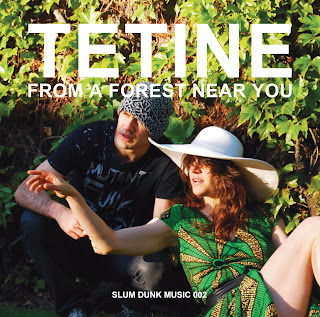 Slum Dunk Music is an independent label run by Eliete Mejorado & Bruno Verner from Tetine. Slum Dunk Music started off in 2002 as an extension/continuation of Tetine's old imprint High School Records founded in Sao Paulo at the back of our kitchen to release our first records in Brazil in 1995. Firstly, Slum Dunk functioned as a pioneering radio show on Resonance Fm 104.4 in London and then a few years later it turned into a free-spirited/no-prejudice kind of music/art label created exclusively to release Tetine’s own music and art-related projects. Hosted by Bruno & Eliete & broadcasting live shows every week from Resonance FM' small studio (when it was still located in Soho) - for approximately 3 years non-stop, then presented in one-off seasons from time to time, the Slum Dunk show was responsible to bring Funk Carioca – the intense lo-down Miami-bass driven sound from Rio’s favela parties – within London’s cultural radar, giving exposure to a number of Baile Funk artists for the first time in Europe, introducing the British and Americans to a new genre, as well as playing Brazil’s most experimental soundscapes. Slum Dunk radio show covered from obscure electronica to post punk, funk carioca to avant hip hop, experimental mpb to film music and beyond – through hundreds of thematic or free-form unexpected radio shows including live performances, interviews with MCs, producers, artists, curators, journalists, beat & party politics conversations, screenings and more! 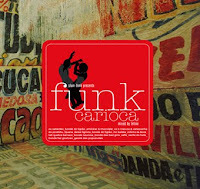 Two years later in 2004, ‘Slum Dunk Presents Funk Carioca mixed by Tetine was out in Europe and USA through Mr Bongo Records. The album was pretty much the first mixtape of Funk Carioca to be released outside Brazil & it became a reference point in new-ghetto electro all over the world, influencing an entire generation of young beat-makers, MCs and producers. One year later, another album conceived & curated by Tetine was out. The Sexual Life of The Savages was released on the ever-amazing Soul Jazz Records with Tetine’s take on the early 80's underground post-punk scene from Sao Paulo & introducing the music of several obscure no wave acts such as Gang 90 & As Absurdettes, As Mercenarias, Akira S & As Garotas Que Erraram, Harry, Fellini amongst others. 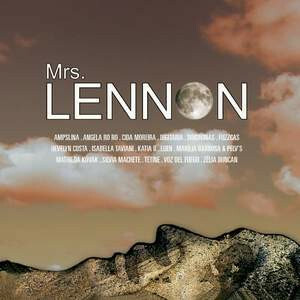 The record included a 16-page booklet with detailed liner notes on the scene written by Bruno Verner. 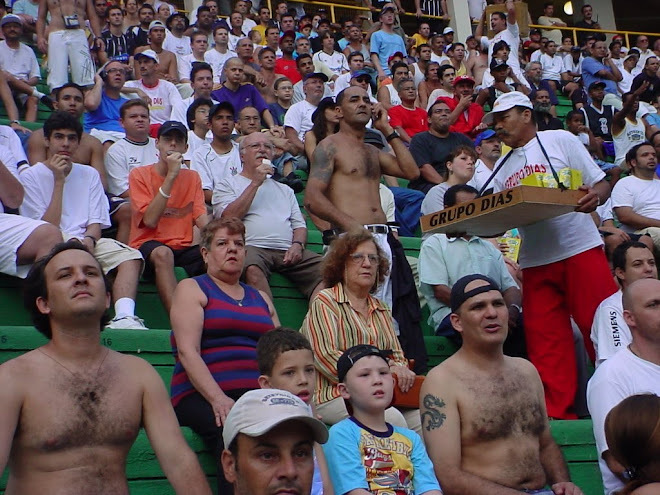 Then in 2005 Slum Dunk began acting also as micro-label putting out limited and numbered editions of CDrs and 12’s (via white labels released on Berlin's imprint Kute Bash Records) to a small but very selected crowd. The first release was L.I.C.K MY FAVELA - Tetine’s sample-laden brutal tropical blend of baile funk, post punk & old school electro, complete with classic sampling lines & collaborations with MC Deize Tigrona and Paul B. Davis (8 Bit Construction Set). In 2006, Slum Dunk Music re-pressed a second limited edition of L.I.C.K My FAVELA as Tetine was invited to take part at the exhibition Tropicalia – A Revolution in Brazilian Culture - at The Barbican Centre. 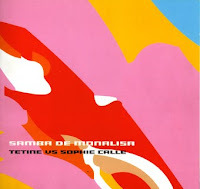 In 2009 Slum Dunk re-releases Tetine vs Sophie Calle, Samba de Monalisa – a cult obscure electronica art project/album made in collaboration with French artist Sophie Calle originally released on Scanner’s imprint Sulphur Records back in 2002. 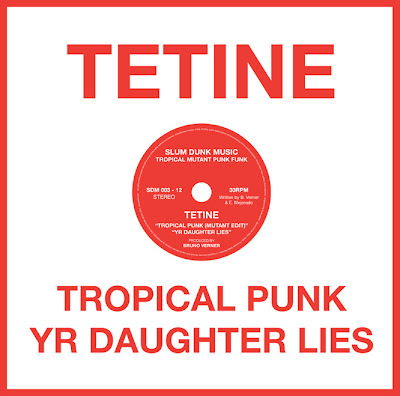 In 2010 we are proud to officially release Tetine’s brand new album From A Forest Near You – a luminous DIY collection of tropical mutant punk funk/ new wave & experimental electro pop fused with minimal dark sambas and percussive drum machine-pop. The mindset behind Slum Dunk is pretty much the same since the first radio shows on Resonance. We play & put out inventive, playful, exquisite and brutal music. No matter the style. IF WE LIKE IT WE PLAY IT.